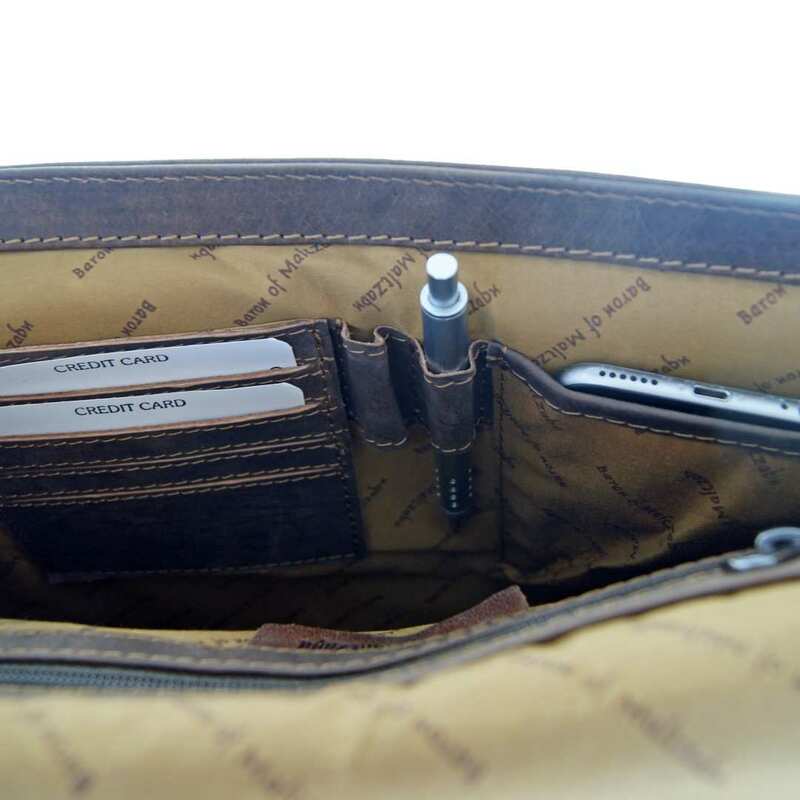 Product information "Briefcase folder CURIE of brown buffalo leather"
The briefcase-folder CURIE made of buffalo leather will inspire you with its significant look and a well-though-out inner arrangement of practical compartments. 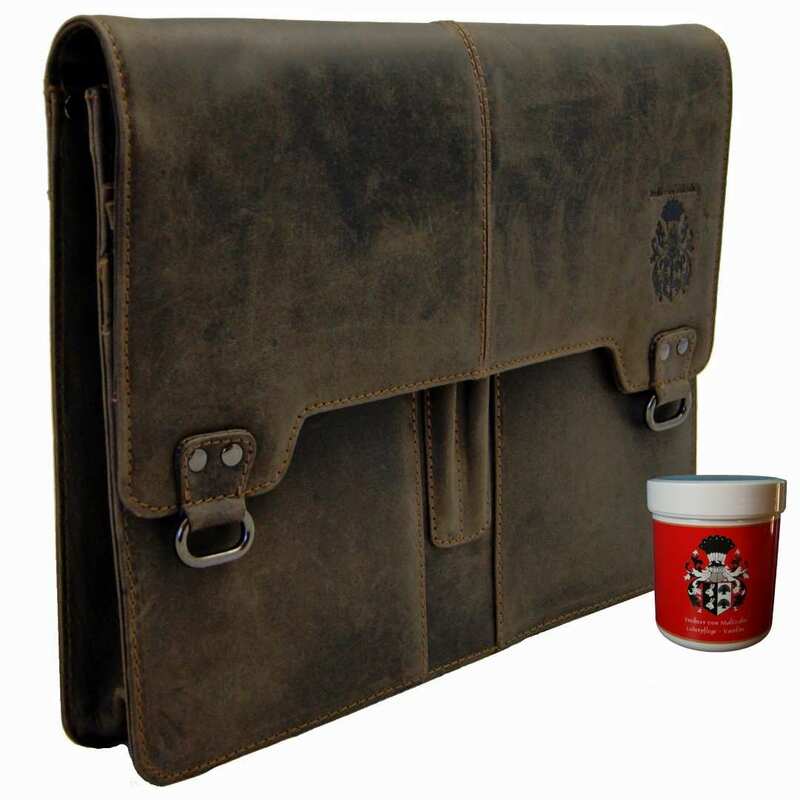 With the buffalo leather briefcase-folder from the Collection BARON of MALTZAHN you acquire a fancy companion for the everyday life. 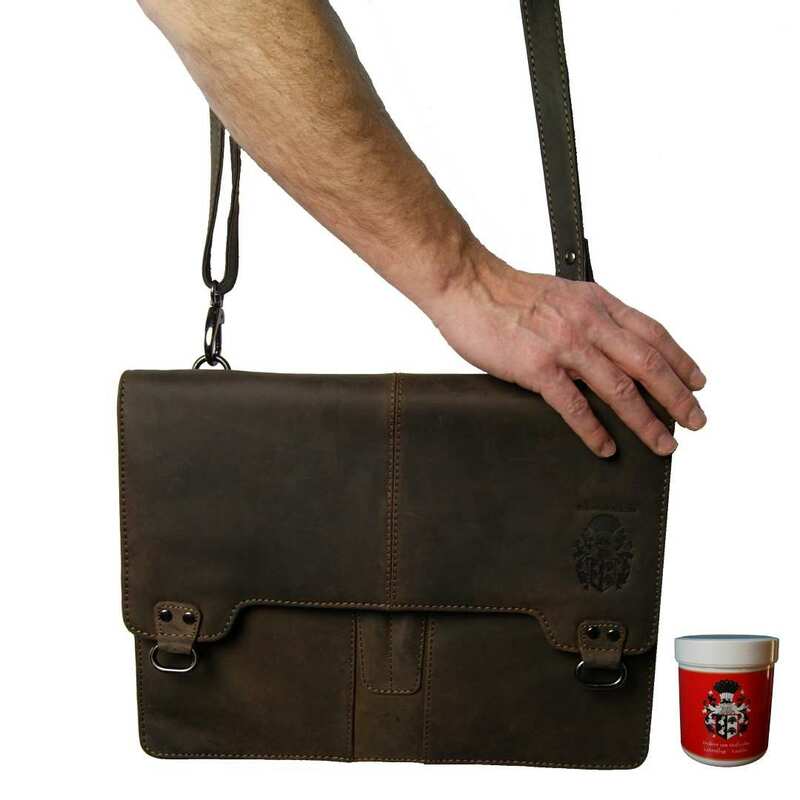 The significant leather bag convinces by its robust processing and is appropriate for safely transporting your laptop. Additionally, by the folders’s dimensions in letter format (A4), you can orderly store your documents in this conference bag. The bag is equipped with a shoulder strap and therefore it is comfortable to carry it hung over your shoulder. The briefcase-folder made of buffalo leather is offered in limited edition. The genuine Solit-Burnt-leather from sustainable livestock breeding receives its special look within a distinctive tanning procedure. Firstly, the buffalo leather is washed carefully in a drum with oils. This elaborate procedure gives the leather its genuine look with intended color abrasions, which make every bag a unique piece. The briefcase-folder made of buffalo leather has dimensions of 14.6 x 10.6 x 2.4 in (37x 27x6 cm) and provides a large inner compartment. In the three front compartments you can store your items in a well-arranged way. Additionally, the bag is equipped with two practical zipper compartments inside and one zipper compartment outside. 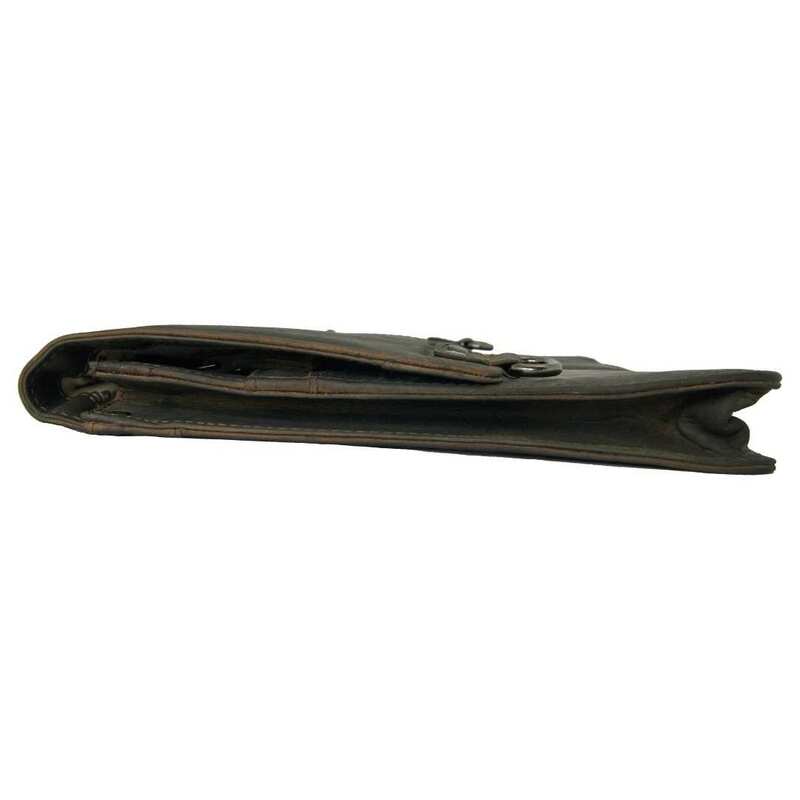 A cell phone holder, four pen-loops and five slots for business cards provide a perfect arrangement. For the production of the briefcase-folder made of buffalo leather only leather hides - which are by-products of the food chain - are used. 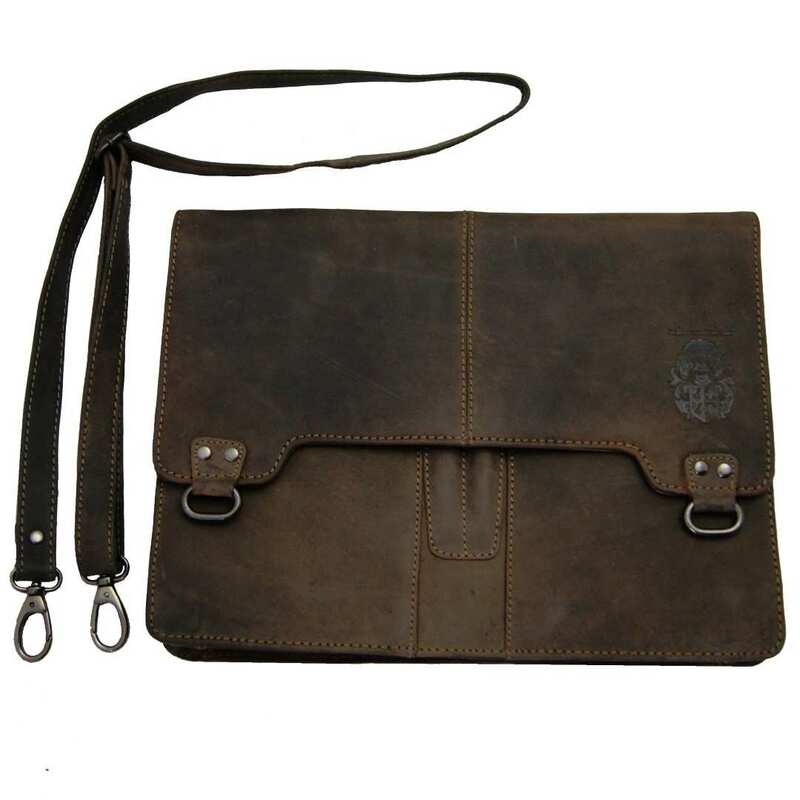 This way, by purchasing this high grade leather bag you support the development of ecology-minded natural products. 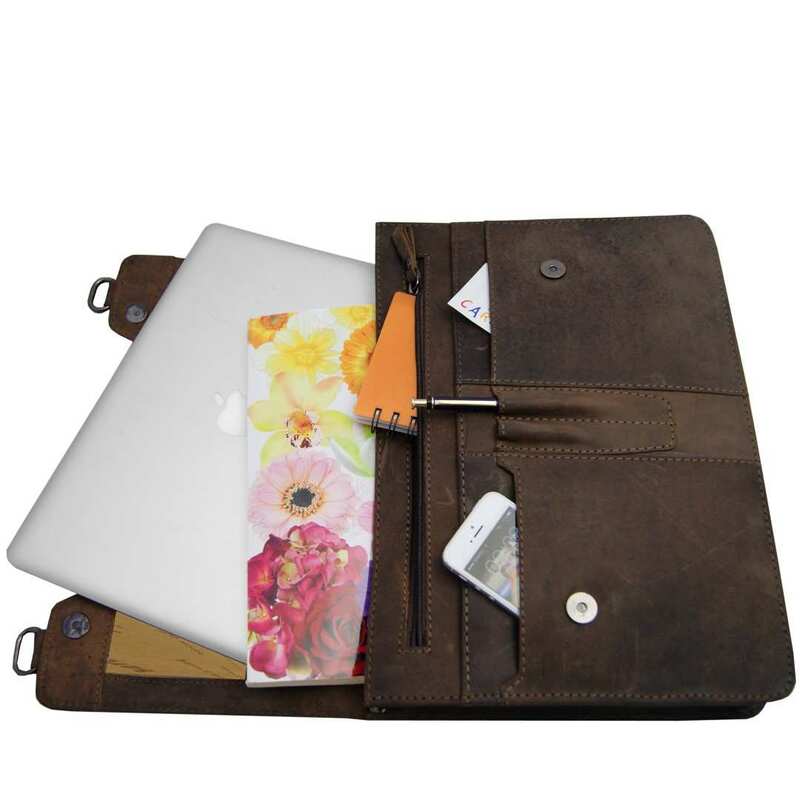 Reviews for "Briefcase folder CURIE of brown buffalo leather"